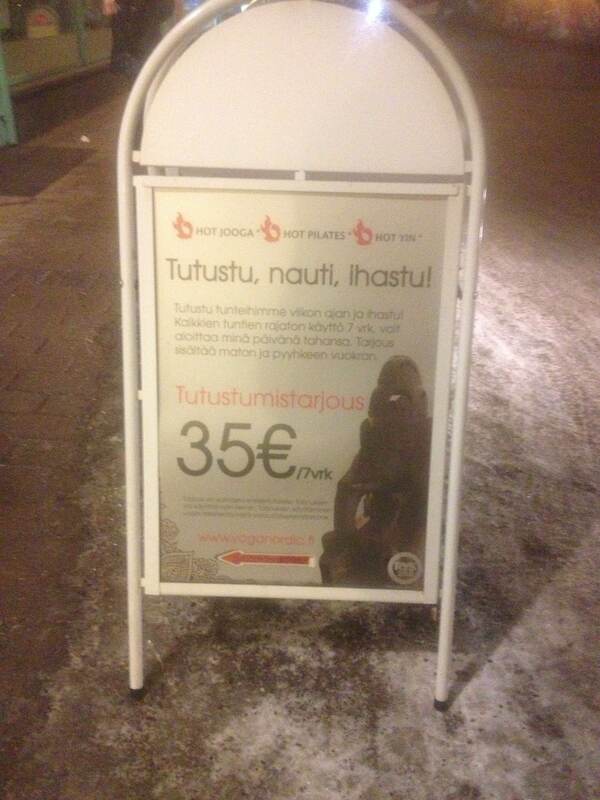 As I’m leaving from a 90 min hot yoga class by Katja Koivisto, I can’t help but to recommend her classes. She has a clear voice just like her instructions and the pace was comfortably fast – 50 asanas. Recently I’ve was in a class which resembled more deep streching than yoga, so this one was very much in order. Yoga Nordic has a 35€ / week offer. Try it.